The objective for Tyco Retail Solutions was to create an exhibit simulating a high-end retail environment while demonstrating the full portfolio of security products throughout the booth. This exhibit design was a combination of modular panels, custom fabrication and several aluminum extrusion elements. 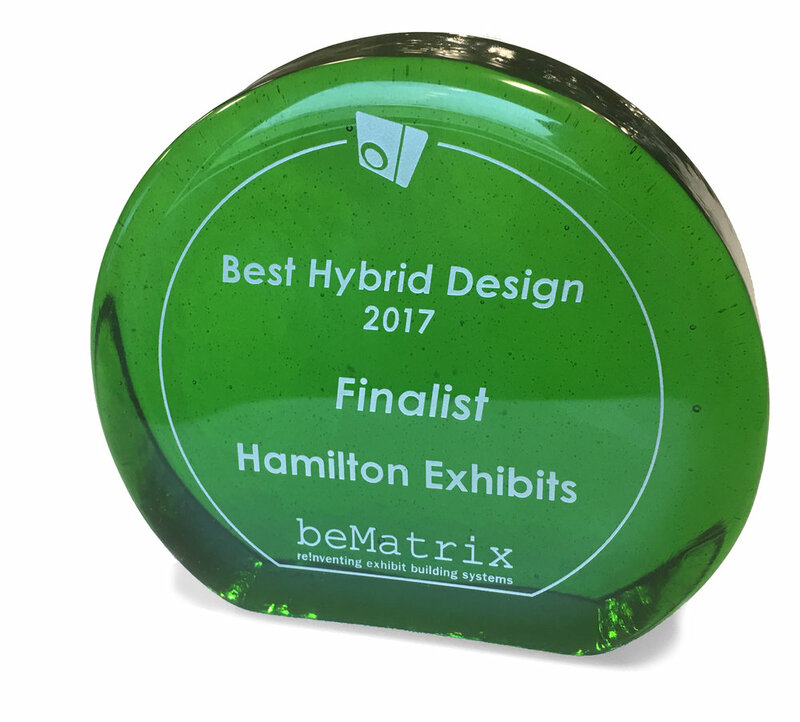 beMatrix Best of 2017 - Best Hybrid Design- Finalist Award winner.